The 2019 Membership Renewals were posted out some time ago. This is just a quick reminder to anyone wishing to avail of the Exclusive Members Race Week Wristband Offer, that the closing date for applications is strictly close of business, Friday, 5 April 2019. This is also the closing date for the return of Ticket Stubs and monies for the UGPSC Grand Annual Draw which will take place at our forthcoming Annual General Meeting. Welcome to the Ulster Grand Prix Supporters Club web site. 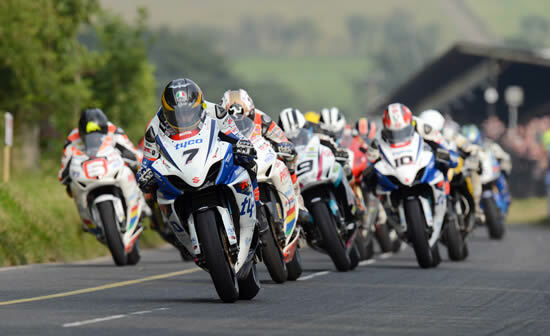 We are dedicated to ensuring the future of the Ulster Grand Prix on the Dundrod Circuit. The club was founded in 1963 by a dedicated band of followers of the 'Ulster'. There is more history about the club on our history page. If you are a follower of Motorcycle Road Racing and in particular of the 'Ulster' then you are invited to join the thousands of others who are members of this official supporters club. Details of membership, including costs and benefits and links to membership forms, can be found in the membership section.